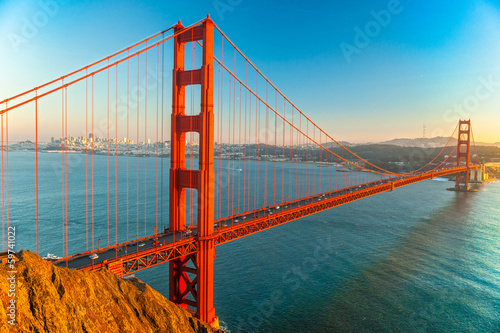 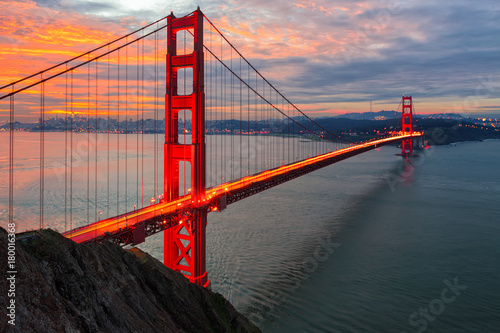 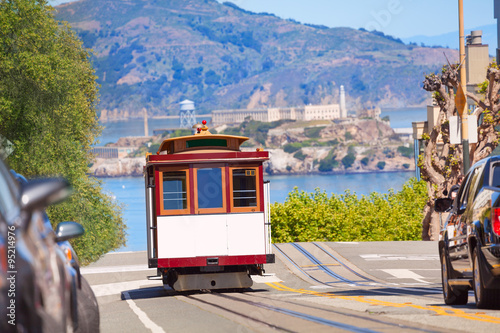 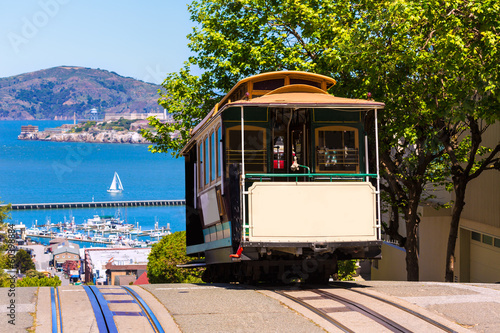 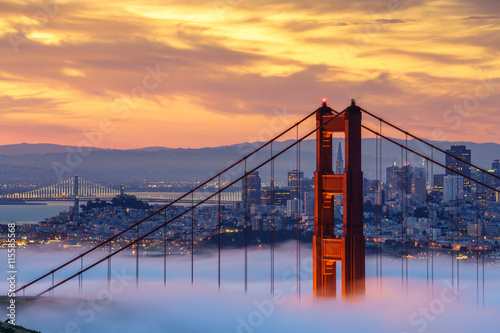 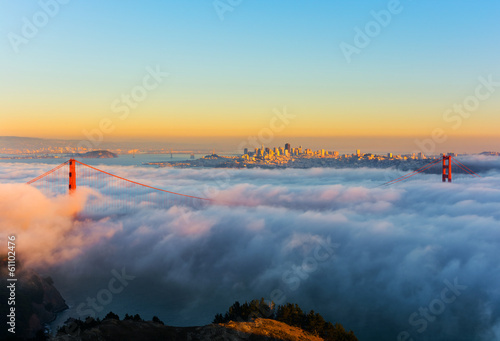 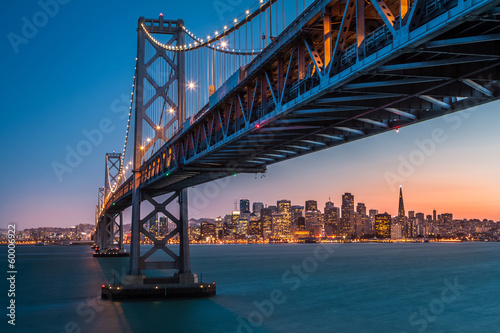 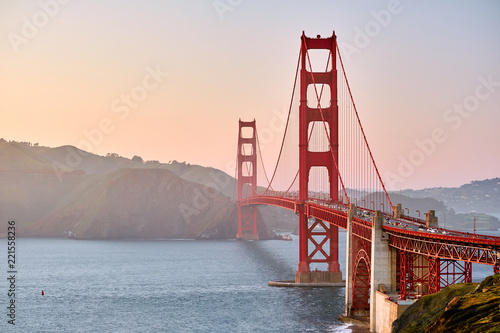 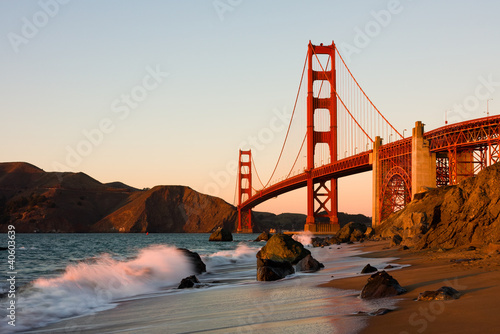 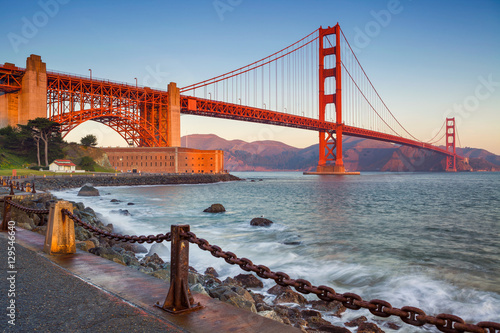 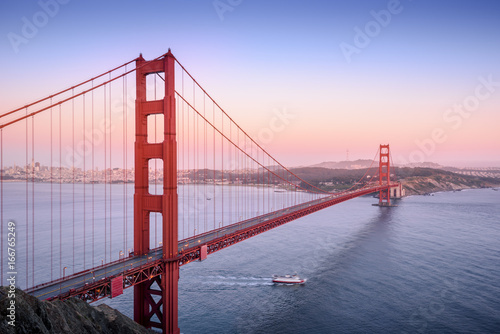 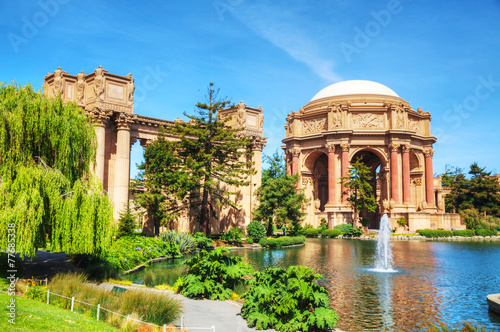 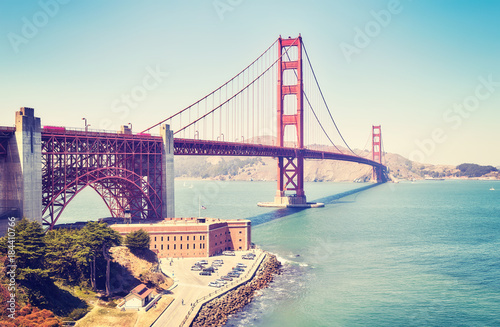 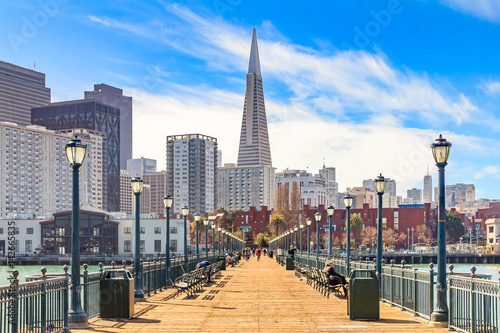 Panoramic picture of the Golden Gate Bridge, color toned image, San Francisco, USA. 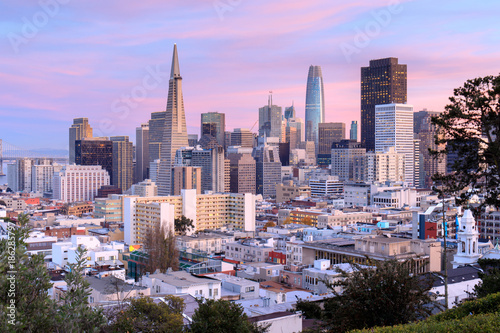 A panoramic shot of San Francisco, taken from Treasure Island. 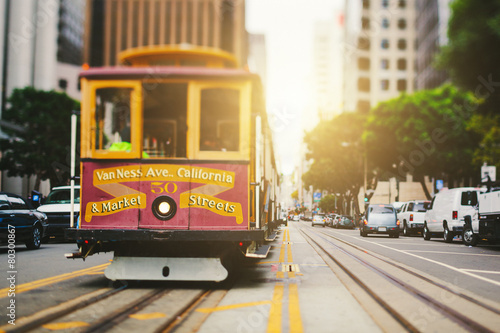 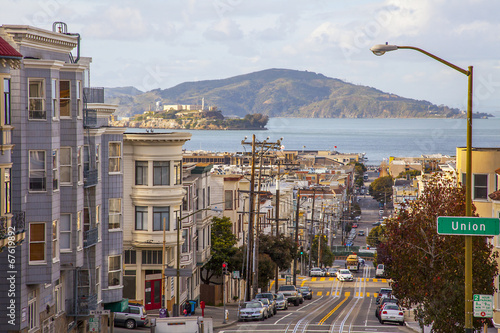 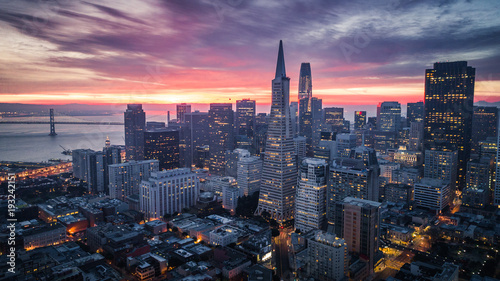 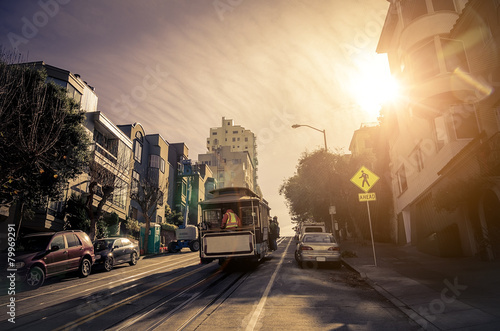 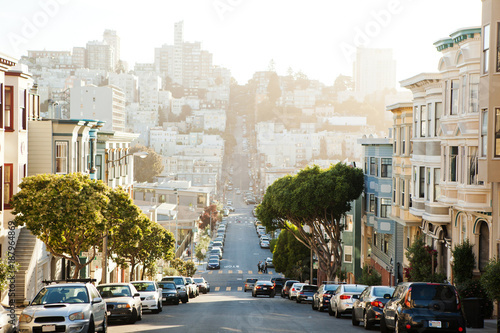 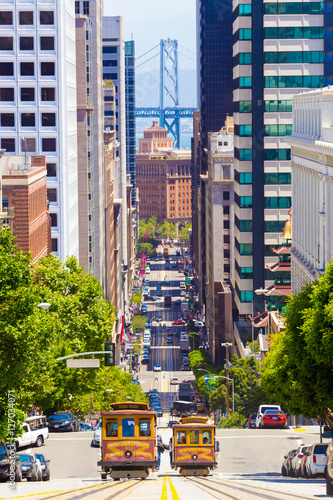 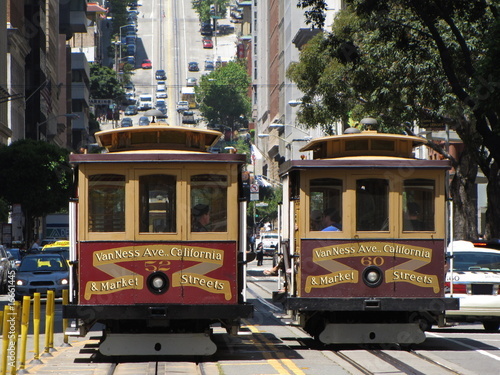 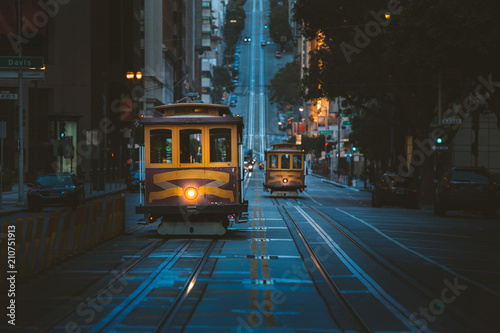 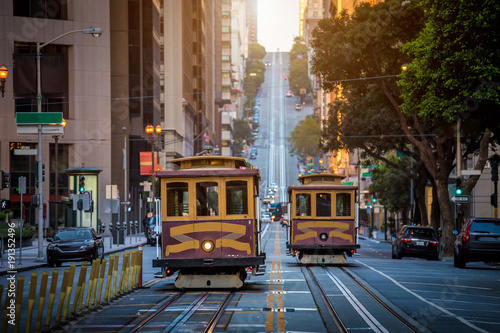 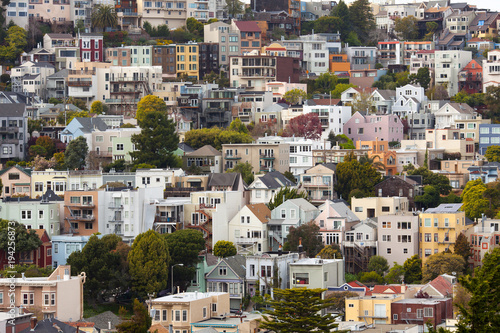 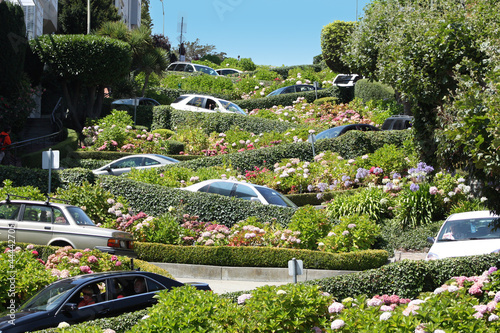 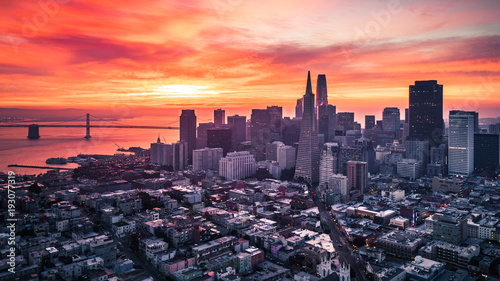 Aerial view of San Francisco skyline. 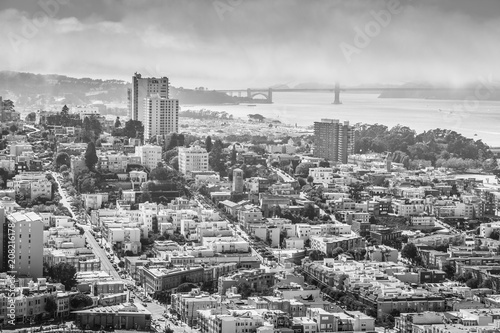 Panorama black and white of the Golden Gate Bridge, Fisherman's Wharf and North Beach from top of Coit Tower on sunny day, California, United States.